COULD PRUSAI BE CHRISTIANS ? The written Prusai history does not only conceal and distort the records of the Prusai people, but under the guise of their paganism it hides the true purpose of their conquest and destruction. With a great ease one can gather all the information about the Prusai and submit them to present the truth. 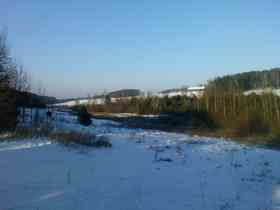 After the absolute conquest, Germans for seven centuries strictly controlled the Prusai land. An obstacle to expose the true face of the Prusai people, is the common hiding of German barbaric policy, infamous Polish politics, and the heretical policy of the Roman Popes. Today’s researchers are relying on writings by the Teutonic Knights and the Polish chroniclers, starting from twelfth century sources, both likely to have been programmed to the mindless duplicated forgery and without an insight look. The history research about the knowledge of Prusai is downright shocking, that a science can move to such outrageous writings of all sorts of different calibre nonsense. Even the pseudo scientific research is carried out in a closed limited circle, so the knowledge of Prusai remains unknown to the general public, so it does not arouse any public interest. Throughout the centuries and to this day, the truth about Prusai remains taboo. Falsification of history without any doubt , deliberate, in order to conceal the fact that the Prusai in the thirteenth century, received the death sentence. At that time and in modern times, conquest , enslavement of peoples or even of whole nations was and is the normal code of practice. However, the move resulted in the extermination to such extent that the Prus land became desolated area, lacking in slaves to work, so the land had to be filled with a new settlers, similar to the extermination of the Indians and during the Crusades. Why so harsh death sentence was issued on Prusai people ? The contractor of judgment and executioner is very well known , but so far no historian - researcher has undertaken the hypothesis put forward by us. Ever since extermination is devoid of any scientific basis for the thesis of a Christianity mission on Prus land. This theory is based on the facts, chronicles written by the invaders, who depend the justification of extermination and a centuries-old occupation of the land of Prusai . These " historical sources " are largely based on the chronicle , written in 1320 by the Teutonic monk Peter von Dusburg and entitled " Chronica Terrae Prussiae " or " Chronik des Prußenlandes " . 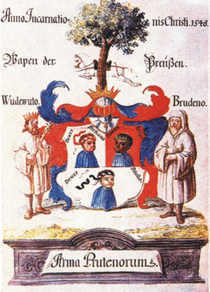 Chronicle of Peter von Dusburg " Chronik des Prußenlandes ", relying on the " source " is not worthy of a true historian. Peter von Dusburg wrote it for the Teutonic propaganda, work on the history and religion of Prusai beginning from the third century. Peter von Dusburg introduces the Prusai as barbaric , savage and cruel heathen. The real purpose of his chronicle was not the truth , but to show the need and purpose for the invasion of the Teutonic Knights to Prus land as a chrystening and civilizing mission . Peter von Dusburg described specific events from the fourth and fifth century , ie. the period preceding his life by 800 - 900 years and not citing any sources of his "revelations" . Let's look at how for today's researchers it is hard to find any concrete facts about the time before the baptism of Mieszko I and the rise of the Polish state. It is also about 1000 years ! In fact it seems so absurd to claim that Peter von Dusburg describes real events do not even knowing the language of the Prusai , without having any specific materials or other written likely communications, is speaking about the history of the almost unknown people with little less than a thousand years before . More interestingly , none of the chroniclers of the early modern era does not describe the Prusai as wild and cruel people. Tacitus in the first century AD, describes the Prusai with words: " Rarely use iron weapons, most clubs. They in field work harder, than ordinary lazy Germans. They poke in the sea , and at the shallows , yes the same edge, find amber, which is called glesum " ( P. Cornelia Taciti , De origine et situ Germaniae , ed. E.Fehrle , c 45 , translation AS Narushevich , Warsaw 1804 . " . Gothic historian of the sixth century Jordanes in the work of De origine actibusque Getarum, ed. Th. Mommsen, lib . I, c 5 Translation : M.Plezia ) describes Estiow ( Prusai ) with the words: " On the shores of the ocean [ Baltic ] , where the three mouths of river water absorbs Wistuli, sitting Widiwarians, joined in one of the various nations. Behind them are living on the shores of the ocean Estiow, people are very calm." Around year 890, the Wulfstan said that "the country Estiow [ie, Prusai ] is very large and there are a lot of cities "
Adam of Bremen writes, the XI century German geographer and chronicler, relating the stories of returning merchants from Sambia, there lived, " the people most human". And this wrote a Christian, where Christianity itself represented the only human social trend. If so Christian writes about unfamiliar nation, the application of the conclusions of the "people of most human" comes to mind : The Prusai were the most Christian of Christians. Somehow it is hard to discern the signs of the " savage and cruel nature " and the Prusai primitive tribal organization, described by Peter von Dusburg and other chroniclers of the Teutonic Knights. Then the history of Prusai wrote in a similar vein, many similar to him " researchers ". These included Pischon F. Ludwig Bechstein , Eduard , Henkel , Gottfried Schütze , Adam Narushevich and many others. Today on their communications is based "knowledge " of the former Prus land. Lehrbegrif Der Deutschen und der alten Volker von dem Nordischen Zustande ... - Gottfried Schütze . 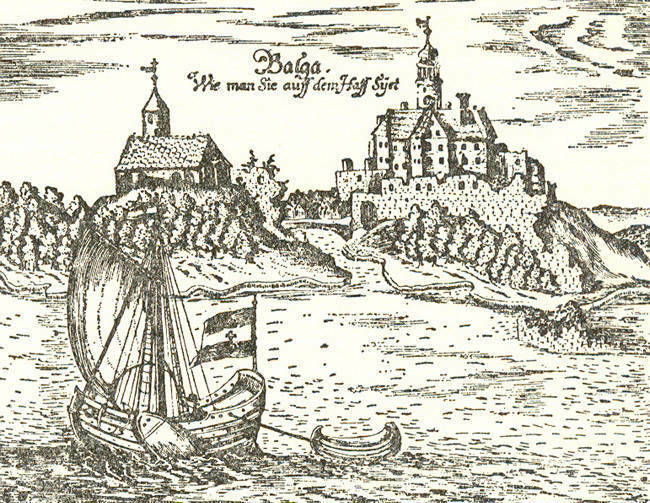 At no stage of their being on the Baltic Sea, the Prusai had never invaded its neighbors, sometimes responded to the fight when defending themselves against invaders . Destruction of Prus land was almost total, of the thirteenth century the everyday life of their ethnos, the living at their last moments of freedom, hast left nothing. Together with the German pedantic people’s killing, plundered everything that represented the value , along with the rest of the homestead was completely burned. On the ruins of Prusai forts, invaders built castles, some to such an extent, that today are second to none in Europe. Already this fact can indicate the real intentions of the Teutonic Order. The excavations only occasionally traced, find the evidence of an earlier culture of the Prusai, but do not have knowledge of the level of civilization at the period of conquest, since the total destruction of everything without leaving any trace after these people and now they preach falsehood about them. No one was interested in the habits and customs of the ancient Prusai, the attitude to the so called pagans was as always the same. It was, however , in contrary to the generally acknowledged to be the only truth, the pseudo-scientific theories, a very prosperous people. In later centuries, evidenced by the excavations of possession by the ancient Prusai of gold , silver and artifacts of the highest standard . The finds in graves clearly prove that the Prusai believed in the immortality and life after death and the existence of the soul. There was no need to build their political structures, faith meant the high level of their spiritual and moral life. They were all to each other equal, characterized in defense of their own family and their freedom with incredible courage. They were farmers , fishermen , also traded bringing from distant lands a true work of ancient art. They loved the beauty, and above all the beauty of nature that was their inspiration and to which were very respectful. Their spiritual life was very rich in traditions, customs, which today we would call folklore, for the invaders was paganism, which had to be eradicated . Nothing has been left, with the Teutonic sword and Roman Christianity, this land was castrated of the Prusai culture. Today there is hardly a trace of these people existence, people with a high level of ethics in every day and way of life, which today could confidently be an example for humanity. Today's science Prusology and its researchers are not able to achieve anything more, as it is eaten by the time corrosion and old falsification of the history. Today, these people do not have anyone interested and the contemporary Germans shamelessly call the Prusai history as their prehistory. In connection with the course of events that occurred in the thirteenth century to day we are left to ask questions, which none of the previous researchers did dare to ask. Therefore, as the descendants of the Prusai begin the process of historical knowledge submission in a way that makes it to answer many important questions. Is there a possibility that the Prusai could be Christians ? If not, what was the threat from the Prusai to the Papacy ? This is quite tricky question and the thesis contained herein is worthy of consideration, because in fact there was not a big difference for Roman Christianity in the treatment of the threat from Prusai and the Islamic religion. For Rome of them both were atheists, against the one and the other they both sent Crusades, binding against not only the monarchs of Europe, but all the whole of European Christian knights. It seems that a similar threat to the religious doctrine of Rome came from the world of Islam as well on the part of Prussia. This sense of threat from Prusai was so great that Rome was willing to sacrifice the destruction of an already Christian state, which was the Polish crown. When about the year 1259 the Tatars organized the invasion on Polish crown , the Pope forbade the Knights to go through with help to the Crown and ordered to continue the conquest of Prus land. The only difference that separated Rome in the conquest of Prusai and the Islamic world was the rapidly expanding size of the Caliphate and geographic distance from Europe, that decided the Rome defeat by Islam. At the outset we strongly emphasize that nothing concerning the Prusai which is attributed by the researchers as to Scandinavians will not be taken into account by us , as it is an unsubstantiated untruth. This topic in general will not be considered by us. It is a propaganda trick and forgery based on a simple hypothesis, which specifies the Goths as people of Scandinavia. To this day, all Polish researchers are sure of this. 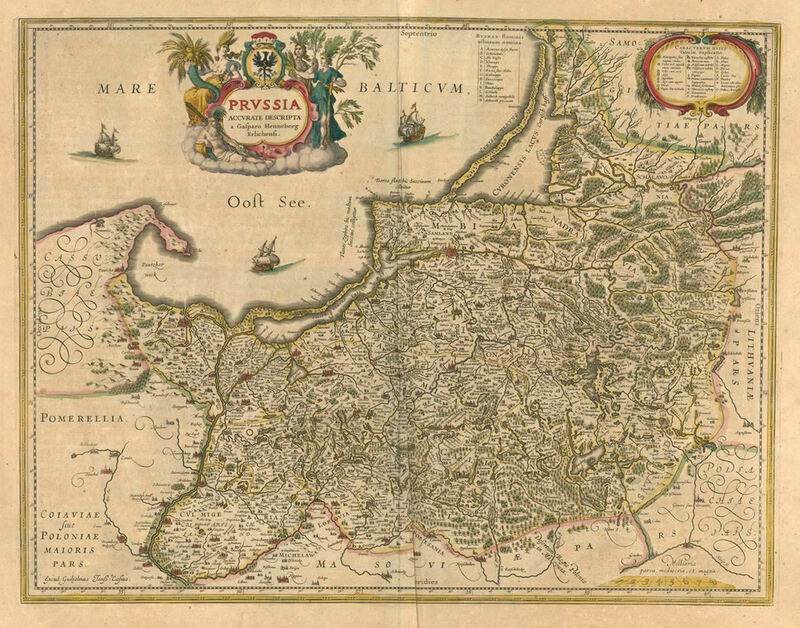 The Western Baltic was the Gothic habitat with Gepedoios in the Vistula Delta. The latter were the last ones remaining, and together with the rest of Prusai formed the history of this land. We also reject theories about the division of the Prusai people as tribes. We believe that what pseudoscience called, without any concrete evidence tribes, were in fact the provinces. Prusai consisted of three ethnic groups, the Gothic West - pre Celtic, central - pre Indo-European and Eastern Jatviagians the origin of the pre Ugro - Finnish. All of them are listed by the ancient historians. Eastern Goths with Galindami, central Aestians and eastern Jatviagians as Sudovia. We question for how long the Prusai could be in contact with the Christian faith ? Though the Prusai they lived in isolation, then the ancient world was in demand for the amber, therefore in trade had the opportunity to maintain extensive contacts with the contemporary civilization, knowing it, and observing the events that occurred there. The amber was distributed only by well known to them routes from the Black Sea to Rome. Business with amber for good had started already before our era, about 484 year BC. the Greek Herodotus knew the electron as a valuable natural product of the north. Another who writes about amber is Aristoteles in 340 BC. This information can be dated and compared to the commercial exchange of glass beads, as well as necklaces made of them discovered in the graves of women in a number of archaeological sites at Prus land of this period. 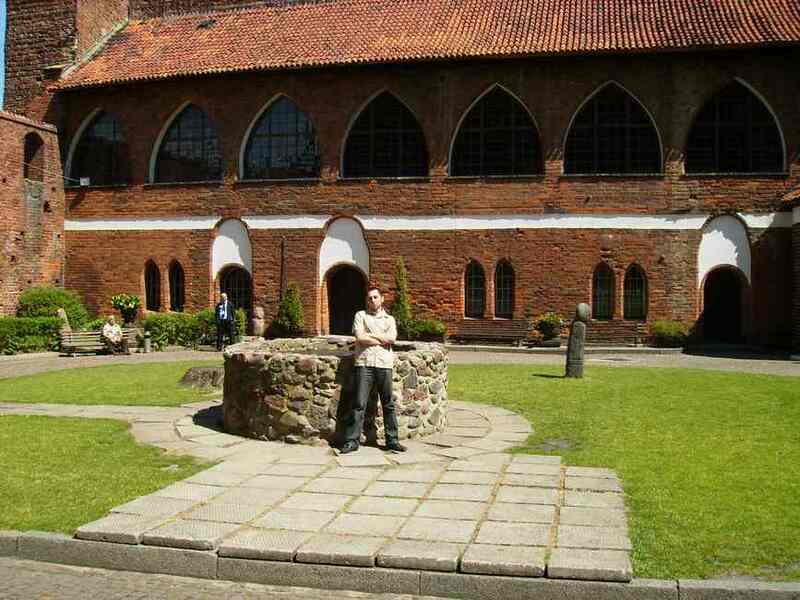 These findings extend to the Koszalin ( the land of Pomerania was inhabited by Ostrogoths ). Beads of glass in excavations are assessed for a period of II century BC until after the subsequent centuries. Art production of beads comes from ancient Egypt and Syria, later was known in Asia Minor and the Black Sea. This small detail allows free conclusion that not the Byzantine of Asia Minor had discovered amber, but the Prusai discovered this part of the ancient world when with great freedom Amber moved around on well on known trails known only to them. The Asia Minor and then the Byzantine Empire was the center of civilization, as well the Christian faith, and was known to Prusai long before the advent of Christianity. As the first in amber entered Hellenes ( it is said that today's Greeks are not Hellens ) living in Asia Minor. The amber road in Asia Minor crossed with the silk route. 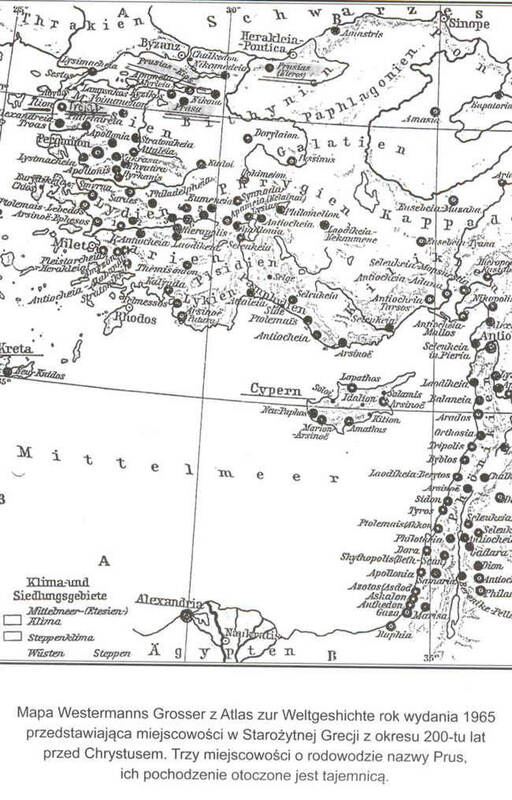 All of these routes pass through the famous city of Kios (Greek Kίος l Kείος , Kios or Keíos , Lat. Cius ), the name was changed by the King of Bithynia Prusias I ( Προυσιας , Prousias and Latin Prusa or Pruss ) on Prusias ad Mare and it was about the third century BC. This is the first time the word of Prusia was used, we should not ignore this fact without comment. Who commanded then king who conquered Prusia and Bithynia ? The convergence of Prus with Prussia could only be by the assumption that they were the Visigoths, the Western Goths. As for the King Prusias I, Ziailas’ son, it is known that the name is given in honor of his uncle, also Prusias. Grandfather of Prusias I Nicomedas I, according to the chronicle of Flavius Arrian had two wives. The first wife of the Ditizeli ( derived from Phrygia ), Nicomedas had two sons named Prusias and Ziail. Ziail was the father of King Prusias I and grandfather Prusias II. So there was some tradition on the name and the naming of Prussia is fairly typical of the time, giving it a name to the city from the name of the ruler. As it is known Nicomedas entered into alliances with Goths so maybe from that would come the name. "We see this as an opportunity to get acquainted with the details we were not considered to be ignorant what is your faith, your personal secrets. 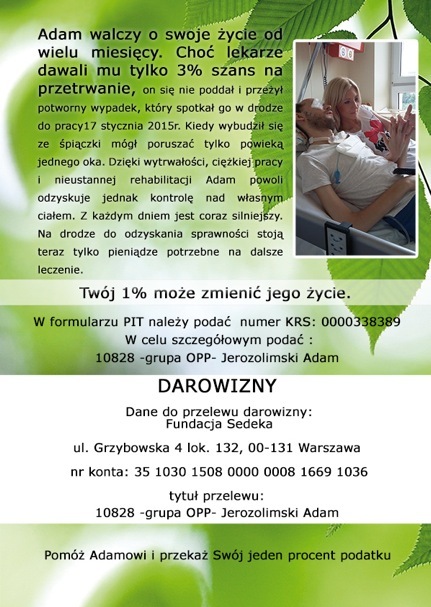 Please visit us so often, along the road that your love has opened. Friendship with the rich kings always pays when they are satisfied even with small gifts, I always want to reciprocate larger. We authorized your ambassadors, word of mouth, we make order with you, which receiving you need to be happy. " Rome was then the center of the Christian religion and the Prusai " amber delegation " in contrary to the researchers, it was not just a marketing visit. We believe that it had another very deep meaning and purpose. No one else but Gepedoios, kinsmen of the Emperor, had a meeting with the Emperor of Rome and the information obtained from the " mouth " had been in which direction to go in order to follow the contemporary world. The next event in the year 523, is by some scholars considered as mythology. The meeting of the whole Prusai ethnos took place in the fortress Honeda (later Balga ) under the leadership of King of Prusai Waidewuta. After the Rome meeting it could be a messenger of Theodoric the Great, who came along with the priest Bruteno. Was it the mission of Christianity introduction? Possibly. Researchers as always have known better and mistakenly considered the amber route leading only to Rome, to be the only one, already known from the beginning of our era, at the time of Emperor Nero. A very interesting event is the last visit of the Prusai with amber in the Roman Empire in Ravenna. It was around the year 523 AD at the ruler of Rome, Gota , Ostrogoth Theodoric the Great. 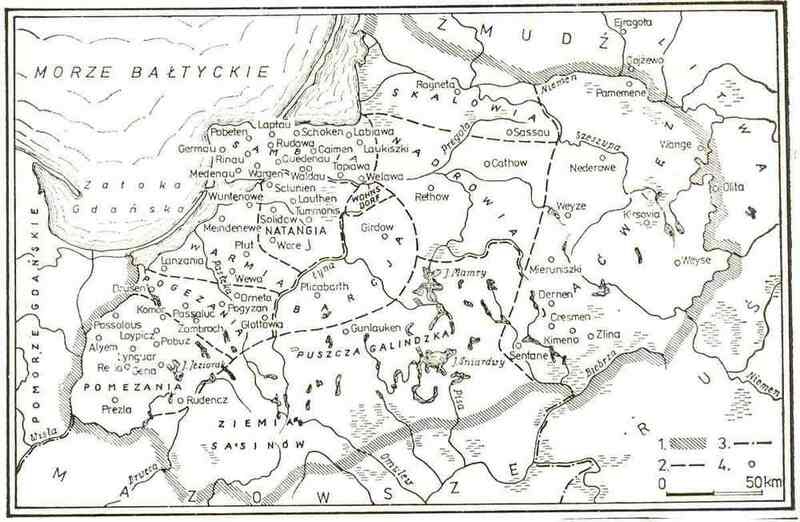 Ostrogoths and Galindians to aid Visigoths in the conquest of Rome left Pomerania, at present northern Poland. It was a successful visit, evidenced by the contents of the letter written in Latin by Theodoric, and its content guaranteed by a scholar Theodor Mommsen.
" After the arrival of your ambassador here, we learned that you are the most eager to meet us, in the hope of gaining our favor to your people living on the shores of the ocean. Your desire for us in return we send our representatives to you, because these have not yet been, we will send ambassadors with the interest. Now that you had introduction with a man (ie. the king ), whose you searched with interest, offering him your love. Taking a trip through so much of land, it was not easy. Therefore, we greet you with the heart and assure you that the amber you have brought we gratefully received . " For those in the desert after Cimbri, Getae or Gepids, has long wars that led in Italy, weary, and came with all the equipment and belongings, and with them made the friendship, they began to settle, founded Romnowo city, supposedly new Rome , but one family who with Lithuania were, one by a foreign nation language changed. 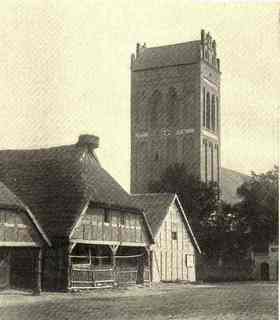 The city Romanowo or Romnowo was first one in the Prusai lands until the arrival of the Teutonic Knights, which then destroyed by Boleslaw Chrabry, the Polish king, the year 1017, and now there is a small town, those Heiligenbeil, allegedly Saint Ax ..... "
Their kinsmen Ostrogoths and Gepedoios settled in the Vistula delta river and part of Pomerania. Around 350 AD, it had become known that Prusai submitted to Gepedoios, and payed them tribute. Goths in social, military were great in organization and this thread can not be ruled out, adding that the Goths presence in the Black Sea also took place. What was the attitude of Prusai to the new faith with its roots in Byzantium, we do not know, but we do know that the Byzantine Christian faith that flourished there been long well known to the Prusai. The Amber Road could lead from the area of Sambia richest land in the amber and it was the trail from the commercial center of which was the port Wiskiauty and led towards the Black Sea. This pathway certainly still existed in the seventh century AD., as evidenced by the Arab coins excavated in Prus land. Many merchants of that era thought of appropriating amber deposits and therefore, perhaps Prusai busily rubbing their tracks, which could lead to the place from which amber could come. The spying profession is as old as some other, most buyers only knew that Amber came from the north. Goths were people continuing the ongoing war with the Romans and the Huns. This situation has used Bishop Ambrose the loyal camp follower of Nice to deal with both the Goths and the Arians. Ambrose expressed hatred not only for Goths and pagans. " Heretics " as he called the followers of the true teachings of Jesus were for him " worse than the Jews" as a threat to the Church. According to him every day brought a new " heresy ", and the more of them were eliminated, the more of them there were. Ambrose, of course, still grieves for this endless war, but does not leave the subject. In his opinion, the heretics attack the Christians like wolves. Ambrose considered his main enemy Arians who mainly who were mainly Christian Goths rejecting the council of Nice as the divinity of Jesus, the pagan doctrine of the Trinity. Against him came five books titled " De Fide ad Gratianum ", three books entitled " De Spiritu Sancto ", and one minor " work." He must have honestly hated them, because he had rolled out so many arguments. There is something significant that while the bishop Ambrose, like the whole Church, says a lot about charity, it almost does not say anything about loving enemies. About this somewhat extensively he speaks only once. At no point he did not reject war as something inappropriate, as is often thought of "just war." When in the East, near to emperors philosopher and tutor of princes - Temistius - calls for agreement between the Goths and the Romans (or also with the Church ), Ambrose seeks the opposite. Soon he begins to turn his nineteen year old - ward of the Emperor Gratian, in the name of Jesus, to go to war with the infidels, pagans and heretics. The Bishop expressed his thoughts in this somewhat pathetic way: "There is no security where faith is violated ! he explains to Caesar, stand up, O Lord, and expand the standards ! This time it will not be the military eagles who will lead Your army, and flight of birds will not guide them , but Your name , O Lord , who will call, and Your Cross, which will go before them! [ ... ] Always defend it against savage enemies, now avenge it. " It did not matter to him that according to Jesus, one should not take revenge ! The Bishop decided in one motion " to wring the neck " Arians. Ambrose does so at the Synod of Aquileia ( 3 September, 381 year ). It was not Gratian who came with the idea of such a council. This came from the Bishop Palladius, a former opponent of Ambrose. He wanted a general council, but Ambrose feared the meeting with a greater number of representatives of the Arians. He did not want discussion, which was condemned to failure because there was no evangelical or biblical arguments defending the findings of Nicea. He just wanted to condemn the " heretics " so he frustrated the convocation of a general council, presenting the ruler with involved difficulties and costs. Proposing to call only Italian bishops. Gratian gave way, so that instead of a general council there was just held a provincial synod, at which were not present the bishop of Rome and his legates. With exception of Palladius and Sekundian there debated the three dozen orthodox Catholics, excluding Arians and lay audience. Ambrose had exactly what he wanted the council and ruled over it safely. Ambrose made sure that the synod rolled his way and condemned Goths and all Arians. It was an unfair theater from the beginning to end, directed by Ambrose. Nobody paid attention to the protests of monotheists. Besides, Ambrose was not a supporter of discussions and arguments in which he had to explain his conduct. Ambrose did not stop only with words. Towards the elderly Bishop Palladius he used physical force, surrounding him with a tight circle and prevented his movement, yelling at him. Ambrose called him a criminal, an enemy of the Bible and a man unworthy. The unanimous conclusion by the council, condemned Arians as heretics to Christ, who after all preached the doctrine of Jesus. In the absence of a Julian Valens, they excommunicated him, and accused him of a national treason. Requesting for such heinous criminal an exile. Ambrose presented a false picture to the emperor of the Synod and asked him for his decisions to be supported by letter. It was the undoubted success of the full Christian virtues of St. Ambrose - in one day he caused hearing, condemnation and impeachment of the two bishops. Then the Council of Chalcedon in 451 decided that the natures of Christ are inseparable. This led Honorius to say that Jesus had a will. He argued, therefore, that Christ had a human nature. According to this view, Christ was endowed with a human will, and so the belief in the One God was unofficially announced at the Church of St. Paul. The fact that a similar dispute arose at all, shows how far the innovation of Paul mixed up people's minds. Pope Honorius died in October 638. In the same year, the Emperor Heraclius I officially adopted the doctrine of Honorius and issued an order according to which "all subjects of the Emperor were to profess the will of Jesus. " The Council of Constantinople, which also took place in the year 638, affirmed the doctrine of Honorius as a "truly compatible with the proclamation of the apostles. " The doctrine of Honorius has not been officially questioned for about half a century. In the year 680, forty two years after his death, the council convened in Constantinople, where the Pope was excommunicated for " not immediately extinguishing the flame of heresy but strenghtened it due to negligence ," and therefore " allowed the defilement of most the holy faith." This decision, by which the Pope has been removed by his successor, is a precedent in the history of the papacy. While the Catholic Church has dealt with the elimination of those dubbed " heretics ", on the outskirts of the Christian world came Islam. Almost all the followers of Jesus in North Africa recognized Islam as a new message from the Lord, which was connected directly with previously enforced teachings. They so became Muslims, "Christianity " has remained only in Europe. The leaders in the Vatican have seen far-reaching similarity between Islam and proclaimed by Arians Unitarianism ( Arius ). Both doctrines are based on the belief in one God. Both recognize Jesus as a prophet, who, however, was a man. Both believe in the Virgin Mary and the virgin birth. Both recognize the Holy Spirit. Both rejected the divinity attributed to Jesus. So the hatred which the Church had for Arians including Goths was turned against the Muslims. The Crusades were not a single phenomenon, but the continuation of previous persecution of the Arians had suffered at the hands of supporters of the Church of St. Paul. At that time, the Church could not tolerate any opposition. The institution known as the Inquisition was organized to track and eliminate all forms of " deviations " from the established doctrine of the Church. The exact number of people killed by inquisitores is not known, but certainly many millions have suffered and died at their hands. Monotheism destroyed and persecuted everywhere, so the extermination of the Prusai people may have the same background. Popes often published lying edicts about how heretics murdered women and girls, how they acted as cannibalis, their cruelty, etc., etc. They were able even to accuse them of polytheism ( ! ) while the accusers themselves practised this and still do. Such opinions about the Prusai religion are still regarded as the only true ones. All these action were meant to turn the Catholic Europe against the followers of the true religion of God or monotheists. Popes and their henchmen such as the Inquisition, the Teutonic Knights and other Orders have used this doctrine wherever they could to justify the biggest massacres in human history which included a crusade or conquest. Currently, there is no evidence of monotheism among the Prusai, but after all the messages on their religion come from the chronicles of the Teutonic Knights , but when you take into account the religion of the Goths ( Arianism ) it is logical that Prusai monotheism had to be at least similiar. After the death of Theodoric the Great Goths left the Rome because of religious persecution. Goths were Arians who did not recognize the Holy Trinity or the divinity of Jesus and their faith was based on the true teachings of Jesus and not the cheatings of Constantine. Theodoric the Great was still alive when the Senate chose the Emperor Justin I, and feared religious persecution of Goths. The Council of Chalcedon declared followers of unadulterated teachings of Jesus, that is, the Arians and the Goths as heretics, put a curse on them and forbade preaching monofizytyzm under the threat of multiple penalties. Prophecies brought by the Prophet Muhammad brought back a large scale return to the pure monotheism. Hence the later crusades, which were led by the Teutonic military orders. After the election of the emperor Justin, the Senate demanded the overthrow of Theodoric's Goths and their expulsion as heretics. After the death of Theodoric, the Goths fled Rome from religious persecution. In the end the Goths were defeated by the armies of the Byzantines. Prusai with the instructions received from their Christian brethren the Ostrogoths, were left alone. Today we know that in many parts of the world where Christianity arrived various pagan customs remained with the superstitions and even they became part of a religious ceremony. The Prusai have adapted to the conditions of the new faith, which through their lives in isolation for centuries remained not subordinated to Rome. Who was the only one in the Prusai history King Waidewuta ? Was Waidewuta a king , ambassador or was a notable of Christian faith ? As in the old German literature, unequivocally and without doubt the Waidewuta was a Goth, therefore he had to be an ambassador of Theodoric the Great, along with the monk Bruteno who arrived to the Prus land with a group of Prusai returning from a visit to Ravenna. Bruteno after arriving to Prusai was named Kirie Kirieito. Crusaders claimed that it was a title of a Prusai high priest the pagan religion. It might have been skewed by the unfamiliar Prusai of Latin, of the oldest Christian prayer phrases. Since the beginning of the Christian prayer was very important the words addressed to the God, asking for forgiveness Kirie Eleison . These words mean " God have mercy ... ". Prusai not familiar with Latin hearing Bruteno in his prayer word " Kirie eleison " (or Kyrie eleison ) could call him Kirie Kirieito ? In the study of the origin or etymology of words such incidents abound. We have all the 17 commandments Waidewuty path , but it is only a Teutonic fake . It was built by Rome and published by the Teutonic Knights in order to document Prusai paganism. At the time, it would be illogical that the Goth newcomer, Arian and Christian, Waidewuta was not designed to proclaim a paganism to Prus people. The new faith could only be introduced " by their man," and he was Waidewuta, otherwise it could only be imposed by force, and such doctrne was used by Rome . King Waidewuta was a Goth who arrived with a delegation which led the talks with Teodoricus the Great of Ravenna If he was a Goth he had to be a Christian spreading the unadulterated teachings of Jesus otherwise an Arian If he was a Christian, it is logical that he could not preach polytheism or pagan religion Based on the above propositions we consider it highly likely that the reason for the extermination of the Prusai by the Poles and Teutonic Knights was not fighting remnants of paganism but Arian Christians communities existing in Prussia from the time of King Waidewuta. This is what has happened in the Catholic Europe subjected to the dictates of the Vatican only confirms this opinion. The existence of numerous papal edicts ordering the murder of " heretics " and the type of institution the Inquisition makes logical granted by the Vatican permission for the murder of the entire nation of Prusai. The very fact of giving by the Pope, conquest and extermination of Prusai rank of the crusade is talking about something completely different than the version of Christian mission and civilization . Is it not possible not to think about a four-hour, solitary meditation, of Pope John Paul II on the land of Prusai lake Wigry during his pilgrimage to Poand. It is puzzling why among many Polish pilgrimages JP II only once gave a solitary meditation - "on this land in this place ?" It was only in 325 AD, that the doctrine of the Trinity was considered part of Christian orthodoxy . Even then, some of the signatories did not believe in it, as it had no basis in Scripture. Athanasius, considered as the father of this arrangement, was not entirely convinced of its truth. He admits that "whenever he forced his mind to meditate on the holiness of Jesus, his tedious and futile efforts led him back - the more writes, the less able to express his thoughts. " At one point he wrote: " There are three , but ONE GOD ." His belief in the doctrine of the Trinity was not due to conviction, and was only a necessity and requirement of current policy. The fact that this historic decision was as much the result of political expediency but fallacy, demonstrates the role played by Constantine , a pagan ruler of Rome controlling the council of Nice. The growing Christian community was the driving force, which he did not wish to have against him, a force that weakened the empire, and whose support would be invaluable in its strengthening. By modifying Christianity he hoped to get the support of the Church, and thus end the confusion caused in it. The Goths accepted Christianity very early. The Bishop Athanasius, in 320, listed Goths among those peoples to whom the Gospel had reached. In the Ecumenical Council of Nice, in the year 325, there was an unknown bishop, Theophilus of Gotia, about whom no details are known. The person recognized as the apostle Gotia was the bishop Wulfila. His father was a Goth and his mother came from Asia Minor and was a Christian. She was kidnapped by Visigoth pirates in Cappadocia and transported to Gotia as a captive of war. The Gotia began to appear with representatives of different believers of Christianity, such as the Syrian Audios, founder of the audians group and the monk Harpyla, a Catholic. But the most popular amongst the gothic people was the Goth Arian Wulfila. He was born in the year 311, probably in what is now Romania. At the age of thirty years was a teacher in the Goths church. Shortly before the death of Constantine the Great, Wulfila was among the Visigoth messengeres to the emperor. Then, in the year 337, he was anointed a bishop by Eusebius of Nicomedia, the same one who baptized the Emperor Constantine the Great on his deathbed. Wulfila held episcopal power for over forty years. He was able at that time to convert many of the Eastern Goths (Ostrogoths). After seven years of missionary bishop Wulfilii, fell in Gotia to the first wave of Christians persecution. Many of them lost their lives. 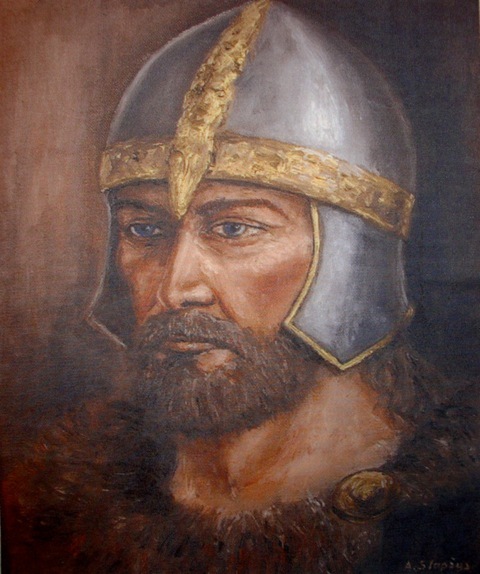 Wulfila with his fellow escaped to Roman territory and settled in the area today known as Great Tyrnovo. Here he created a Gothic alphabet and translated the Bible into Gothic. He died in the year 383. According later the process of Christianization continues with the Visigoths, although already in the year 325 there is bishopric of Gothia ( directed by the Orthodox bishop Teofilus ) and soon most Goths will be ready will ready to accept Christianity (latest were Ostrogoths at about 488 year, during the reign of Theodoric the Great). Arian Goths professed Christianity based on the true teachings of Jesus, in opposition to the findings of the council of Nice. As is well known in the Council of Nicaea ( Bithynia Nikai ) May 20 in the year 325 at the request of Emperor Constantine Christianity they were introduced into Christianity the Roman cults, and the Chaldean and Greek pagan doctrine of the oneness of God in three, or three gods in one, as one of the main tenets. Also it established the dogma of the divinity of Jesus. Both of the above mentioned dogmas completely contradict the teachings of Jesus and the tradition of Ancient Testament. If Prusai were Christians accepting the teachings of Jesus they like all Goths at the time,would stand in opposiyion to the council of Nice. They would not consider the dogma of the Trinity and the divinity of Jesus and they would become the enemies of both the Vatican and later the Eastern Church. This could explain their subsequent extermination by the Poles and the Teutonic Knights. One can be alerted to, what might be the nature of the Prusai paganism ? It is logical that if they recognised the existence of the Trinity and the divinity of Jesus, there would be no reason to exterminate them. Never before or after the Prusai had a king, which means he could have been the ambassador of Roman Emperor with his guidelines. At this meeting all of Prusai people, Waidewuta establishes a new Prusai law, the constitution which among other things allowed Prusai people to have only one wife. The later chronicles describing the way of life of the Prusai people, clearly testify to their high ethical and moral conduct. At that time in Europe among the pagans anything like that had not been seen and could not be a Prusai cultural evolution but could be rather a message of the new faith. The Christian faith values observed among the Prusai ethnos, rescuing others in distress, the hungry were never denied food, including those needing help, care for women whose husbands were lost or belief in life beyond the grave certainly was not the result of any pagan faith. It's all been with Prusai widely known and enforced until the German extermination. This historic law, the Constitution assigned to them certainly had a relationship with the Christian faith. Knowledge of how these laws were written has not survived to us, it could have used the Glagolitic alphabet, or as some have suggested, it was a runic writing, but it was not entirely impossible that the Latin text was translated into Prusai language. 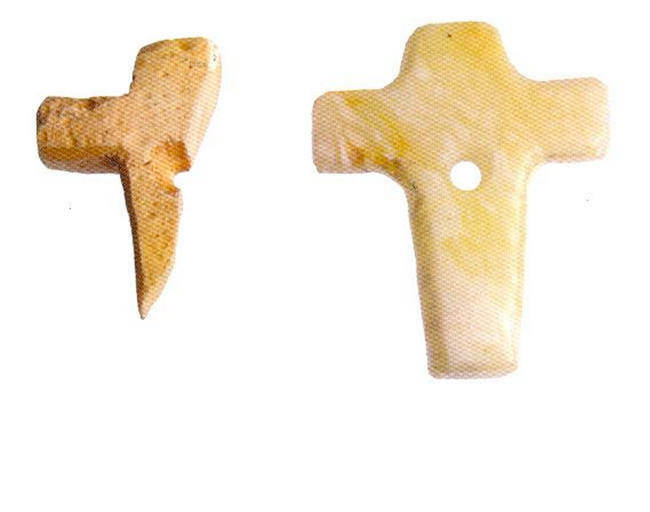 Excerpt from Truso cross next to its reconstruction . X - XI century . Height 2.5 cm, width 1.5 cm. According to Pope Gregory IX the Crusades were a war of defense, the thesis so designed it is not surprising that on the river Sorge and on the way to it death sentences for Prusai began, so one talk only of sanctioned crime, not of any Christian intentions. Andrew Douglas – Hamilton "Unitarianie"